I’m finally back to my blog! Sorry for the 1 month hiatus… Have been busying with CNY for the month. After spending CNY with my family, I’m back to South Korea again and had a winter vacation in Seoul! The super dry weather in Seoul, I’m lucky to have the new Vaseline Healthy White Instant Fair Body Lotion with me to keep my skin moisturise, healthy and fair! Thanks Vaseline and Samantha for arranging the lovely parcel to my doorstep. 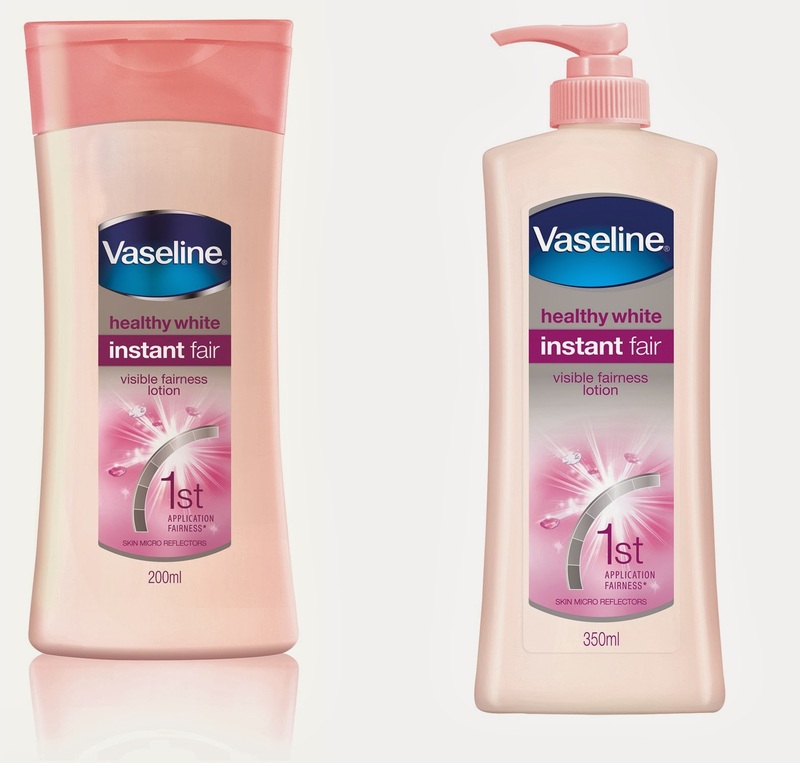 Vaseline’s new Healthy White Instant Fair body lotion gives you up to four times visibly fairer skin upon application. The lotion is formulated with Skin Lightening Bio-Actives including Vitamin B3, and a castor oil-derived ingredient called 12-HSA, which helps skin cells function better and subsequently strengthens the skin barrier so as to maintain a healthy skin moisture balance. This body care solution also comes with a triple sunscreen ingredient to protect skin from UV rays. With Vaseline Healthy White Instant Fair, skin is brighter and more moisturised. My Reviews: Love the texture of Vaseline Healthy White Instant Fair Body Lotion, it doesn’t gives me any greasy feelings. Once I applied on my skin, it absorbed promptly, my skin feel moisturised and heal my cracked skin instantly during the cold and dry weather in Seoul. Visible whitening is the most amazing results that Instant Fair gives. I can see immediate result of whitening after applying and my skin really become fairer over time! Vaseline Healthy White Instant Fair retails at $7.95 for 200ml and $11.80 for 350ml at selected Watsons and Guardian pharmacies and all major supermarkets from November 2013. • As we age, our skin needs change and skin’s self-renewal process slows. This cream addresses up to 10 skin woes, and delivers 10 benefits in one fell swoop, so you give your skin exactly what it needs in just one pump! • These 10 skin benefits include: visible skin lightening, an even skin tone, UVA & UVB protection, dark mark reduction, radiance boost, firmer skin, visible reduction in fine lines, skin renewal, intense moisturisation, deep nourishment in the epidermis layer. • Contains antioxidants, AHA, Pro-Retinol, Vitamin B3 and CLA. • Great for the woman who doesn’t want UV exposure to darken or dry her skin out. For daily sun protection during the daytime, whether you are indoors or outdoors. • This is the best-selling Healthy White body lotion to date in Singapore. • Contains SPF24 PA++, one of the highest SPF found in mass-market body lotions. • Presence of Vitamin B3 also whitens and evens out skin tone. • Has a non-sticky texture that absorbs quickly into skin. • Great for those who seek to even out skin tone and match darker skin areas to lighter ones. • Visibly lighter skin in just two weeks! • Contains Vitamin B3, UVA and UVB blockers for triple protection against UV rays. • Yogurt serum provides moisturisation and nourishment.